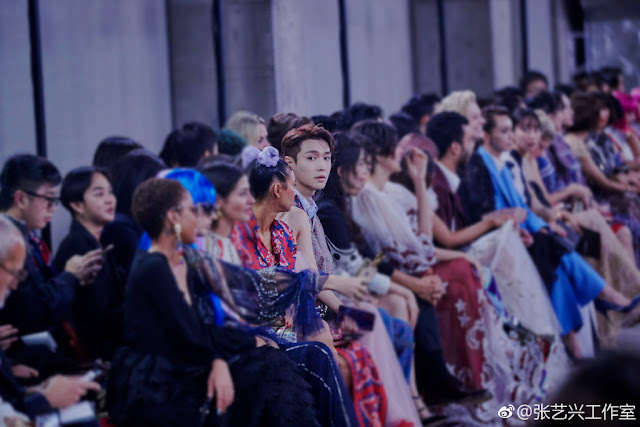 The Valentino PRE FALL 2019 Fashion Show was held last night in Tokyo, and the celebs occupying the front row seats are taking all the attention as it brings together three big stars - Zhang Yixing, Yang Mi and Song Joong Ki. It doesn't seem like they'd know each other well with Yixing being a k-pop idol turned actor, singer, dancer and Yang Mi and Song Joong Ki having achieved international stardom as actors from China and Korea respectively. I'm a sucker for random encounters like these though. 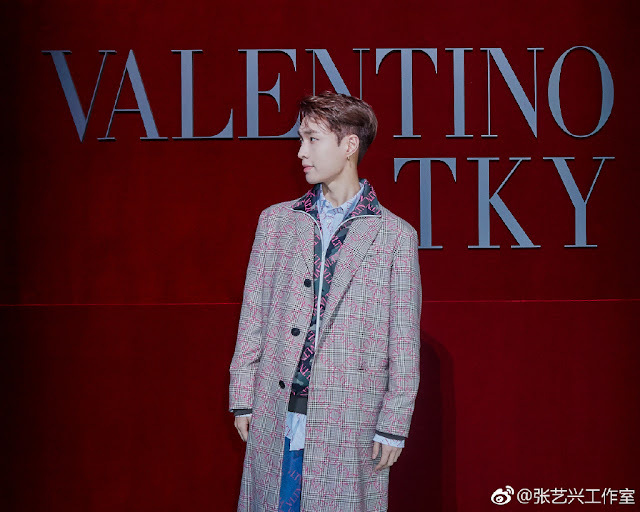 Zhang Yixing is also a brand ambassador for Valentino. 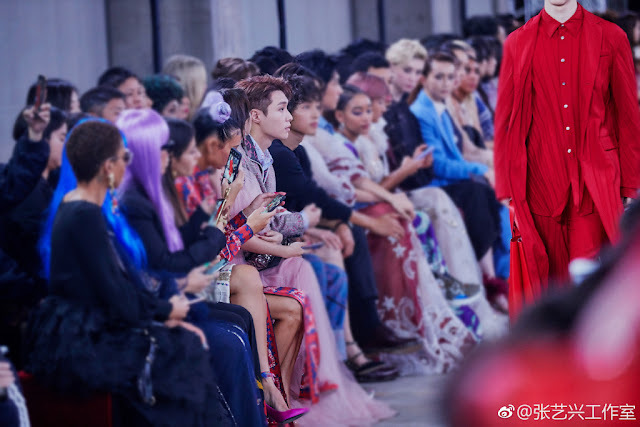 His studio has dropped some Yixing focused shots from the front row. How often does she see her daughter? I guess facetime is enough for mum like her. Lin Hoh... you really sounded bitchy here. Noone really knows what is really happening in a family, be it a normal family or a celebrity's family. So why pick her? You know her very well? Just take care of your own family and leave others to do so for theirs... thank you.. Bosses and leaders are meant to be lonely, they work early and go home late. I wonder if they go to sleep early to wake up early, how much time after work do they get for themselves? Or do they ever sleep at all? Any type of ordinary boss won't likely get to see their children, even just a day to day manager who gets low salary. Or a poor owner of a small shop, all their time is dedicated to work and not family. What's a bit more sad to me is she's growing old but trying to fight it, botox or plastic surgery or make up or whatever it is. She has a new look everytime she appears. But can't blame her alone because she's not the only person, I am suspecting the whole entire actress network doing all those things too. At least, she was once naturally beautiful. Many actresses today are not beautiful until they do plastic surgery. How in the world she looks different everytime she appears? It's the effect of make up for goodness sake. Even I look different everytime I use different make up styles. Why is it that anytime YM is featured in a news or update, there are posts making negative assumptions about her relationship with her child or making negative comments about her age? If you don’t like her - it is fine but so very annoying to see these assumptions posted over and over. You're definitely not the only one! I can feel their chemistry too! Ha! Now I'm wishing they can collaborate in a drama or movie together. I was about to comment about Mew. They got all the other celebs but forgot about my girl Mew. It's okay. Thai entertainment isn't as overly popular internationally. And I agree with some of the comments above. Why are people so mean to Yang Mi??? You guys act like you know her and her private life. All I see is a hard working woman. It seems like she's the only one working in the family as her husband has not have a major acting role in these couple of years. Someone has to bring food to the table. If her husband isn't then she has to. And since he's not working, someone has to stay home and take care of the kid. Give the girl a break! Don't assume things without knowing the true facts behind it. @H. Hawj: Thanks. I was wondering who the lady is. She's pretty! Hawick has been working and filming dramas as well. The dramas are just not as popular. He doesn't take on so many projects back to back because he Flys back frequently to HK to spend time with their daughter. Someone has to do the parenting, shouldn't assume he is not working. He just chooses to balance his time between work and life. People are only stating the what they see. She is constantly at events and promoting her shows. So yes she seems busy the amount of time she is reported to visit her daughter would be 2 times a year. Seeing that she is so busy it's natural for people to wonder when she has time for her child. Obama was busy but he made time for his family. Again people are jumping to conclusions and assumptions. What makes a good parent can’t be determined by the number of photos, distance, ‘number of trips/visits’ or how much work a parent takes. Not everything is a zero sum or black and white. ‘Visibility’ isn’t always the truth or a good indication of the kind or type of relationships. Yes... Yes... Who said we can't parent over long distance. It's the modern day you can patent over FaceTime. There is no need to be physically there as long as the heart and spirit is with the child. Aliens and tech are overtaking this world, even if parents are next to kids, kids still prefer the games on phones and electronics anyway. So do adults. But the parent presence there is still very very important. And agree, we don't know how much YM facetime or visit her kid to judge. Mew!!! Love her! I forgot everyone else when I saw her. She was voted best dress at this show by Vogue US. OMG it's Mew! I knew that side profile looked similar. She's so gorgeous and everything she wears is always so on point. Definitely Thailand's best fashionista for me. Thanks for the info! It's sad how much criticism YM always gets, when she is working hard for her family. And actually she has already cut back her work significantly after having her daughter--I remember before she got married/pregnant she was putting out multiple dramas AND movies per year (if I'm not mistaken, I think one year she appeared in 8 movies alone, not even including dramas!). Now, it seems like she only acts in one drama and one movie per year. So yes she spends a lot of time filming/promoting, but she also definitely has a lot more free time than she used to. How do you know what she is doing in her downtime, and that she is not spending time with her daughter? Also she values her family's privacy and tries her best not to let pictures of her daughter leak out so of course we don't see tons of pictures of YM with her daughter in private. That doesn't mean she isn't there for her child.